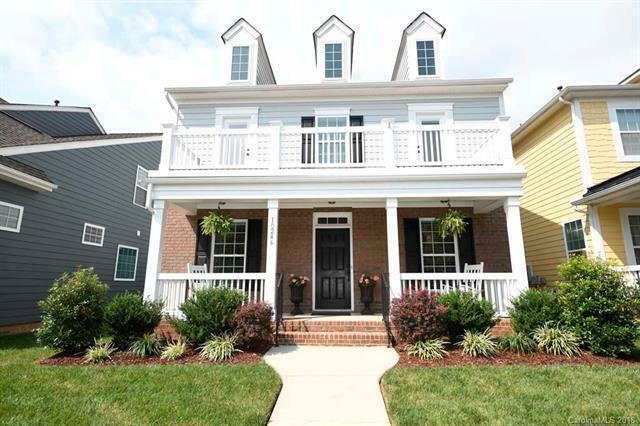 This Charming Double Front Porch home has it all with Bedrooms leading to Balcony. 5" Hardwood Floors on 1st floor. Spacious Open Floor Plan that is perfect for entertaining w/Gas Cooktop & Hood with Lots of cabinet space in kitchen & breakfast rm. Ready for that food enthusiast who loves to cook. Crown molding added to many of the rooms. Large loft area/rec rm, now being used as a Billiards Rm. Great Office/Study with french doors and custom cabinets, especially for those who work in the home or just need the office space. Maintenance Free backyard with Pergola, stone patio and privacy fence. Easy Maintenance Yard for those busy executives. Roof Replaced 2014. HDMI & 5.1 speaker pre-wire in great rm & study 120 v AC over fireplace. Lots of added ceiling fans.